Chicken PBMCs (stimulated for 3 days with concanavalin A) stained with FITC conjugated Human anti Chicken CD25 (HCA173F). Human anti Chicken CD25 antibody, clone AbD13504 recognizes the chicken IL-2 receptor alpha chain (IL-2Rα) , identified as the chicken homologue of human CD25 and cited as ChCD25 in published literature. Chicken IL-2Rα is a cell surface antigen expressed by activated T-lymphocytes, monocytes/macrophages and thrombocytes. CD4+ve/CD25+ve and CD8+ve/CD25+ve cells are up-regulated following infection with avian influenza virus (H9N2) and may therefore have an important role in the immune response to avian influenza virus infection (Huang et al. 2012). 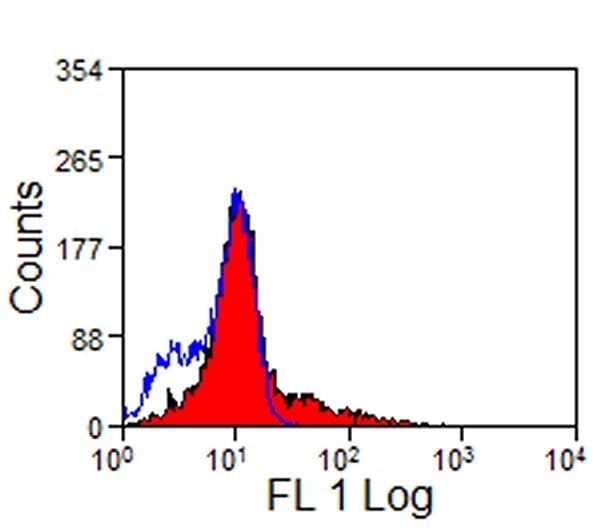 Chicken IL-2Rα is the low affinity receptor for Interleukin-2. A bivalent human recombinant Fab (lambda light chain) selected from the HuCAL® phage display library, expressed in E. coli. This Fab fragment is dimerized via a helix-turn-helix motif. The antibody is tagged with a myc-tag (EQKLISEEDL) and a his-tag (HHHHHH) at the C-terminus of the antibody heavy chain. Conjugated to Alexa Fluor 647 (A647) - liquid. A bivalent human recombinant Fab (lambda light chain) selected from the HuCAL® phage display library, expressed in E. coli. This Fab fragment is dimerized via a helix-turn-helix motif. The antibody is tagged with a myc-tag (EQKLISEEDL) and a his-tag (HHHHHH) at the C-terminus of the antibody heavy chain. Conjugated to fluorescein isothiocyanate (FITC) - liquid. A bivalent human recombinant Fab (lambda light chain) selected from the HuCAL® phage display library, expressed in E. coli. This Fab fragment is dimerized via a helix-turn-helix motif. The antibody is tagged with a myc-tag (EQKLISEEDL) and a his-tag (HHHHHH) at the C-terminus of the antibody heavy chain. This antibody is supplied as a liquid. Braukmann, M. et al. 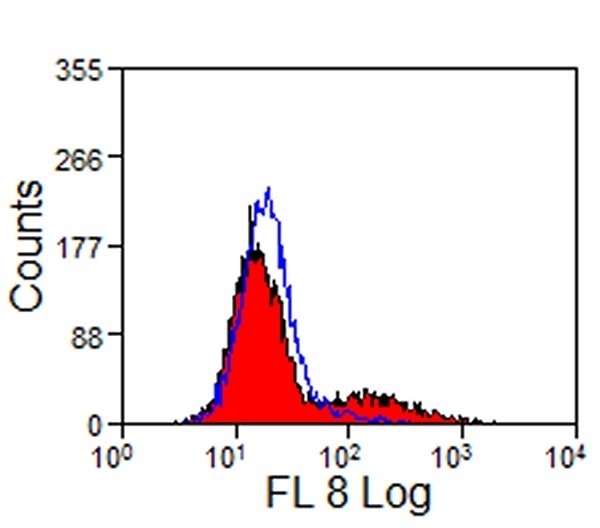 (2015) Avian CD25(+) gamma/delta (γδ) T cells after Salmonella exposure. Vet Immunol Immunopathol. 168 (1-2): 14-8. Polasky C et al. (2016) Non-specific activation of CD8α-characterised γδ T cells in PBL cultures of different chicken lines. Vet Immunol Immunopathol. 179: 1-7.